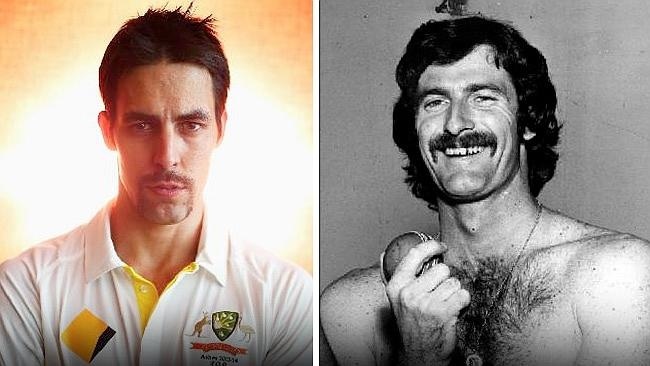 When Australia’s cricket team thrashed England’s 5–0 in the 2013–14 Ashes series in Australia, most commentators agreed that the essential difference between the teams was one person: Mitchell Johnson. As regular readers of this blog will know, Mitchell Johnson bowls seriously quickly, but he has often in the past lacked the ability to control just where he pitches his Exocets and his confidence has been fragile. In the 2010-11 series in Australia, Johnson became a laughing-stock to England fans, as the visitors beat the Aussies 3–1. He was even left out of the party that toured England (and lost 3–0) in 2013. The big question as England, battered and broken, went home to lick their wounds and Australia took themselves to South Africa to play the best team in the world, was whether Johnson was genuinely scary or whether it was just English spinelessness. Well, now we know. In the first Test match, Johnson took 12 wickets for 127 as Australia slaughtered South Africa, who suddenly looked vulnerable following the retirement of their greatest asset, the brilliant all-rounder Jacques Kallis. The great West Indian fast bowler Michael Holding, who was known to scare the bejesus out of batsmen in his day, could barely contain his glee from the commentary box at seeing genuine, searing, 90+ mile pace coming back into the game. Of course, cricket is a team game: Australia are a good side with one player who is performing at the very height of his powers at the moment and that is taking the team a long way. Whether it’s enough to keep them moving up to the No. 1 spot in the world rankings is unsure. But if Mitch can keep his mojo, then I see no reason why Australia won’t usurp South Africa’s crown soon. Here is Mitch destroying the South Africans in the first innings. This entry was posted in Australia, Cricket, England, South Africa, Test Cricket and tagged Dennis Lillee, Michael Holding, Mitchell Johnson, The Ashes. Bookmark the permalink.